32+/- acres just waiting for you!! Approximately 32 Acres, Very nice piece of property. Excellent hunting land, and fishing on Mill Creek. 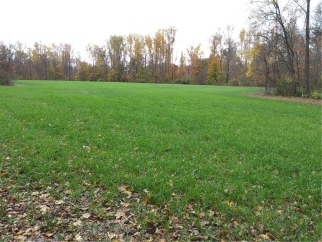 A lot of nice woods, 2 - Tillable fields with Approximately 9 acres tillable. Nice building site Up in the smaller field on High Ground, Out of the Mill Creek flood plain. Lower field is in flood plain. Great recreation land. Close to Cloverdale, Easy commute to Indy or Terre Haute. Will be stake surveyed at sellers expense. Won't last long, better come take a look. Selling subject to farm tenants rights. $149,900 Call Ron Smith at 317-445-5922 for more information.